Geraldine Brophy is one of New Zealand’s best known actresses. She has worked extensively as Actress and Director and Playwright for Downstage Theatre, Circa, Court Theatre, Centrepoint Theatre, Fortune Theatre and Auckland Theatre Company. Her memorable work includes the title roles in Medea, and St. Joan, Portia in The Merchant of Venice, Gertrude in Hamlet, Beatrice in Much Ado about Nothing, The Importance of Being Earnest, A Streetcar Named Desire Cat on A Hot Tin Roof, The Crucible, and Uncle Vanya The Rivals, Middle Age Spread and Rosencrantz and Guliderstern are Dead, Dancing at Lughnasa, Molly Sweeney and Arcadia, Blood Wedding and Romeo and Juliet. Her own company, Number 8 Theatre, has toured nationally with her one woman show, Confessions of a Chocoholic and more recently her work co written and performed with her daughter, Beatrice Joblin, Ladies A Plate. She was the recipient of the 2009 Chapman Tripp Theatre Award for Outstanding Performance Blood Wedding at Circa and won the 1996 Chapman Tripp Award for Best Supporting Actress in the Downstage production of Tzigane and. She has most recently been seen treading the boards with the sellout stage show Grumpy Old Women, Romeo and Juliette for Auckland Theatre Company and The Birthday Boy at Circa. 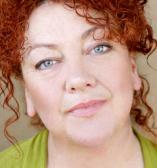 From 1997 to 2001 she appeared as receptionist, Moira Crombie on Shortland Street. Other TV includes the Seven Periods with Mr. Gormsby, Serial Killers, Spin Doctors, Maddigan’s Quest and Insiders Guide to Love. Outrageous Fortune, Welcome to Paradise, Time Hackers and Legend of the Seeker for Walt Disney. Audiences will remember her most recently as celebrity contestant on Dancing with the Stars, where she danced for Arthritis NZ, the charity for which she is ambassador. In the Cinema she has featured in In My Father’s Den, King Kong, Waterhorse, and Underworld Three. She won the 1998 New Zealand Film and Television Best Actress award for her lead role in Fiona Samuel’s “Home Movie” and the Qantas Film and Television Awards 2008 Best Actress in Film for the Kiwi box office hit, Second Hand Wedding. She is in New Zealand film, Hook Line and Sinker released 2011. Her play The Nighty, which tells the journey of a nightgown from 1949 to 2011 will premiere at THEBOXpetone in July and Meat about a celebrity chef will be produced in October 2011. Geraldine lives in Petone, with her husband Ross Joblin and two daughters, Zoë and Beatrice.